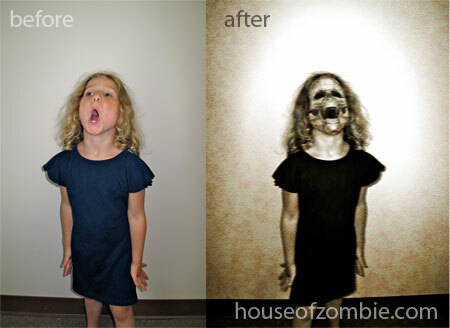 My new zombie art technique – the results. When I originally took this photo, I didn’t expect much out of it, but I am very happy with the results if only for testing purposes. 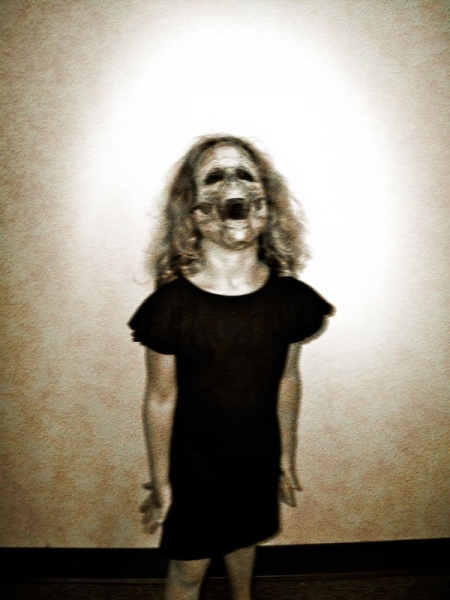 The skull was fully posed and rendered within the 3D software program and then incorporated into the original digital photography using Photoshop. This technique has opened the door to more opportunities in zombie art, and I am very excited about the possibilities it offers. Dude.. That freaks me out. Nice work. Really nice. That is very excellent work. I like the palette and the mottling of the wall. 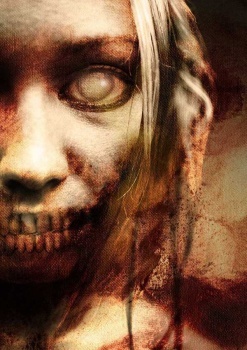 The zombie is also very evocative with it’s anguish and has an interesting level of decay.